The convention was an opportunity to learn new techniques in the ever-changing world of journalism, to make connections and renew old ones, and to honor the winners of the annual Better Newspaper Contest. The recognitions were presented during the Better Newspaper Awards Banquet on Thursday evening. Many seminars throughout the two days allowed attendees to improve their writing, investigation, social media, and photography skills. At noon on Friday, participants could attend the Student Honors Luncheon in which Gov. Tony Evers gave encouragement to those professionals in the journalism field. In the center area, copies of the winning newspaper entries were on display. In addition, the area provided booths for vendors and other newspaper services. 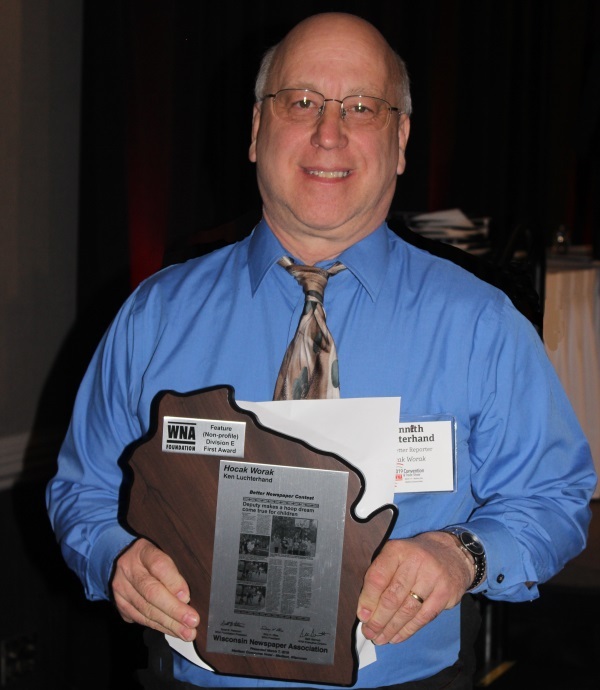 The 2018 WNA Foundation Better Newspaper Contest included 2,799 entries from 121 newspapers. Eligible entries were published between Sept. 1, 2017, and Aug. 31, 2018, and were judged by members of the Washington Newspaper Publishers Association. Each year, the entries are always judged by another state’s newspaper organization to eliminate the possibility of bias or prejudice.